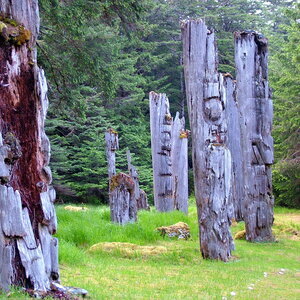 Haida Gwaii ("Islands of the People"), or more commonly, the Queen Charlotte Islands. 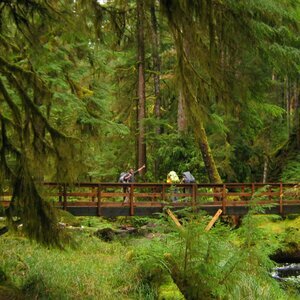 2010 was the first year we offered the Haida Gwaii tour and it was well received to say the least. It might be a good idea to book early on this little gem! 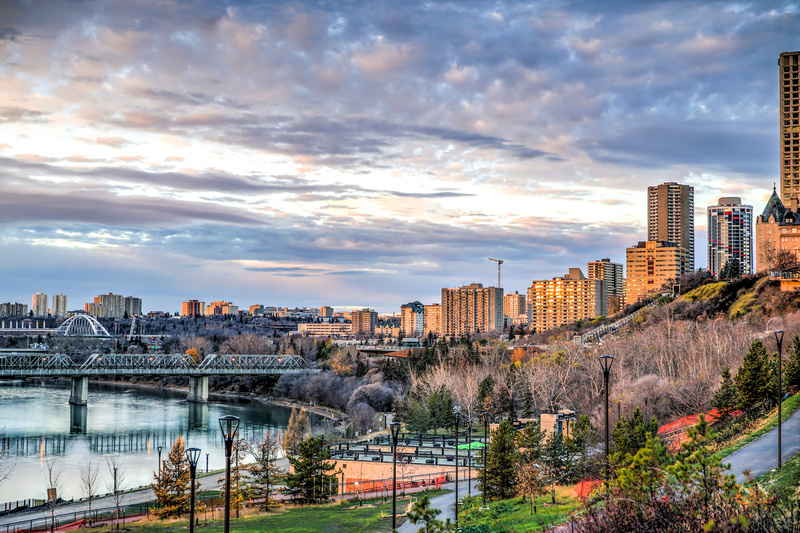 Fly from your home to Edmonton or take the WestWorld Coach from Regina and Saskatoon (and along route) at no extra charge. 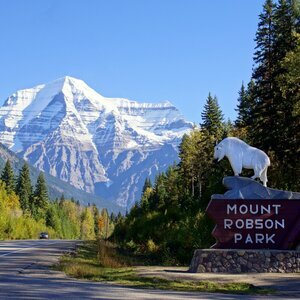 Today we cross the British Columbia border and visit Mount Robson, which has the highest peak in the Canadian Rockies. We continue along to Prince George enjoying the beautiful scenery. 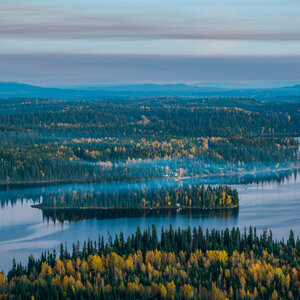 As we continue westward we follow the beautiful rivers and valleys of northern British Columbia. This afternoon we will be stopping to visit the Ksan Historical Village and Museum in Hazelton where the village of Gitanmaax had existed for centuries. 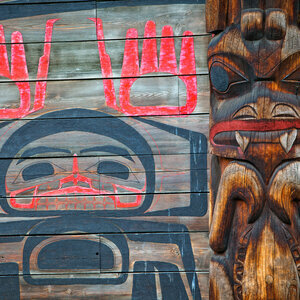 The cultural centre is dedicated to illustrating the richness of Gitxsan culture and history. 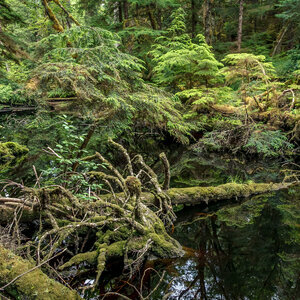 Prince Rupert is where Canada’s Wilderness Begins. We will tour the North Pacific Cannery Village Museum. 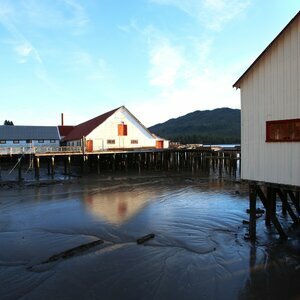 It is the most complete cannery that remains in these remote villages and is also a National Historic Site. We board BC Ferries this morning for our day sailing to the Queen Charlotte Islands. 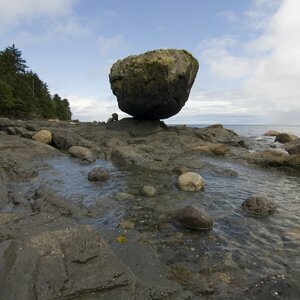 The Haida have called these islands home for over 10,000 years. 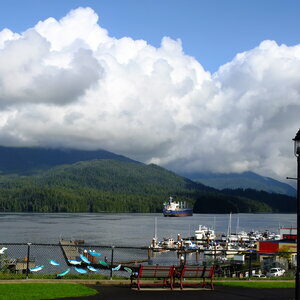 We will be sailing across the Hectate Strait to Skidegate and Queen Charlotte City. We will be spending 4 nights in Queen Charlotte City. 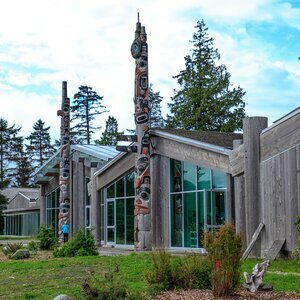 This morning we visit the Haida Heritage Centre. The centre is a magnificent cedar multi-complex consisting of five contemporary monumental timber longhouses. 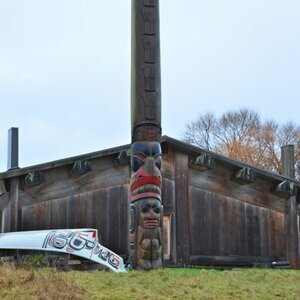 The Greeting House provides spectacular views of the totem poles, the ocean and the surrounding islands. Enjoy a free afternoon to do some of your own exploring. 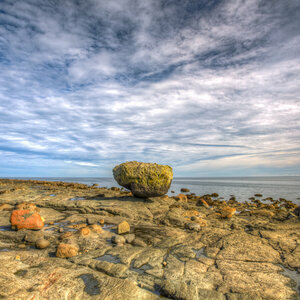 Today we will stop at the Balance Rock which is a large boulder left behind after the retreat of the ice age. Your lunch today will be included. This afternoon we visit the Golden Spruce Trail. Some of the trees seen today are over 500 years old. Tonight we will be treated to a Haida Feast in Skidegate. Today we will visit the Naikoon Provincial Park which is located at the north end of Graham Island. This park has wonderful sandy beaches, rolling sand dunes, rock cliffs, marine tidal pools, great viewing look-outs and amazing west coast fauna and flora plus much more. At Tow Hill we will take a short walk to the Blow Hole along with walks along Agate Beach and North Beach. The Blow Hole is an underground catapult of water surge channels carved through the coastline rocks. Your lunch today will be included. Today we leave the Queen Charlotte Islands via the BC Ferry. We will arrive back in Prince Rupert early for some free time this evening. Today we have a leisurely day of travel as we go back along Highway 16. We will visit the alpine themed town of Smithers. This evening join your Tour Director, Driver and Friends at our WestWorld Tours Farewell Dinner. 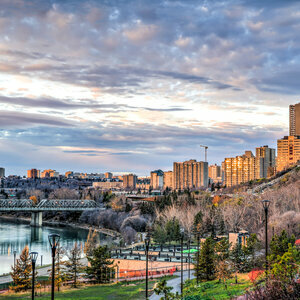 Today we cross back into Alberta and arrive in Edmonton for the evening. We can reminisce about our wonderful tour and make plans to meet up again with newfound friends. Today we return home to Saskatchewan. The prairie landscape is always inviting. Fly passengers will be transferred to the airport. 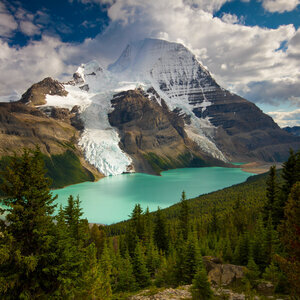 Mount Robson is the highest peak in the Canadian Rockies and a must see. 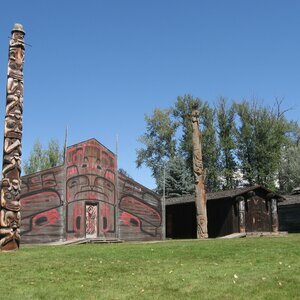 Ksan Historical Village allows you to Immerse yourself in the rich culture and history of the Gitxsan people. Experience the unique history of British Columbia’s oldest salmon cannery. 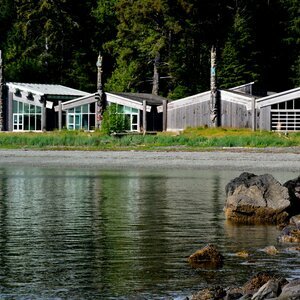 Let the Haida people share their stories with you at this treasured heritage centre. Old Massett is the site of three ancient villages and home to 800 Haida, making it the perfect place to see what life on Haida Gwaii is like. Walking along Agate Beach, watching water catapult through the Blow Hole and taking in amazing views are just a few of the unforgettable opportunities this must-see park provides. *Due to the remote location of this tour, accomodations are categorized as simple/basic.